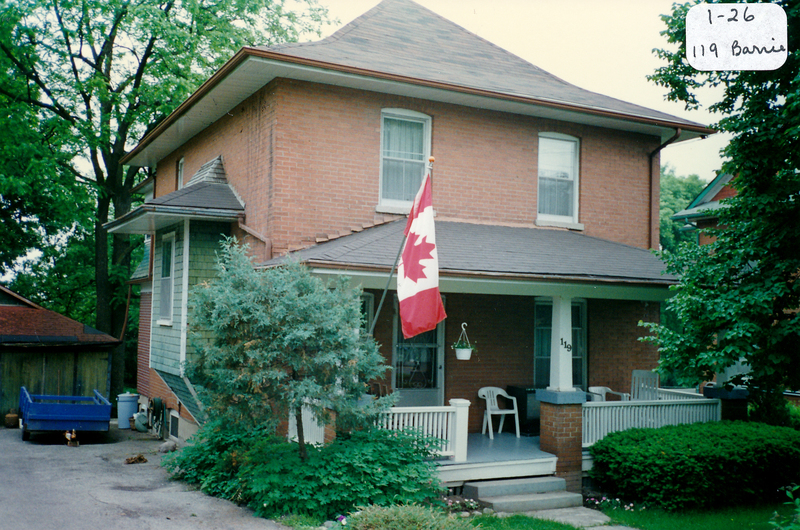 The house located mid-block at 119 Barrie St. was one of seven houses begun in 1912 by Lieutenant George Stoddart. When Stoddart went overseas during WWI, the projects were completed by builder Art Saint. This house was built in the Edwardian Classicism style. Hewey Douglas and his wife lived here many years ago. He had a hardware store on the north side of Holland Street (west of the bank).